“Mohammad Amir to Ball, OUT, there it is! And it is Amir! Six years after the worst day of his life at Lord’s, he claims the final England wicket to fall that gives Pakistan a victory at this venue for the first time since 1996. It’s full, it’s straight, its quick and it cleans up the debutant Jake Ball. You can see the emotion in his eyes as he spreads his arms and takes off. “Mohammad Amir to Kohli, OUT, got him next ball. Amir, you legend! He takes flight. He punches the air like it spoke ill of his family. A fit, even a half fit bowler like him is worth tons for a team. This is back of a length, on off stump, and Kohli, looking to move across and flick into the on side gets a leading edge straight to point. Amir makes him play early. Amir sends him back. Amir puts a smile on Pakistan’s face. Amir is making The Oval chant his name. “Exciting” is the most positive word that can be assigned to the story of rise and fall of Pakistani cricket, especially in England. As a Pakistani fan, you always need to keep an ample stock of ‘Tenormin’ in your pocket to bring the blood pressure down as “They” can kill you both ways, either by a tangential shock or a serendipitous miracle. They can fall from 199/4 to 219 all out chasing mere 233. They can chase 300 plus on a fifth day UAE wicket against Lankan spinners in two sessions “only”. “Troubled waters” of England wait for green shirts once again, not only in terms of the cricketing competition but the “notorious English temptation and scandalization” as well. After leaving “Fawad Alam controversy” behind, captain Sarfraz Ahmad is confident to turn the fortune this time. He is confident of his young guns who delivered for his side against the baby “Irish’s”. The tough chase has lifted the overall morale of the camp. Poor English form in Kiwi tour is another encouraging factor but only until we don’t see the next page of the novel. The most senior part of the side is the biggest worry. Out of form Azhar Ali has yet to score his first fifty of the tour after failing in five consecutive innings against the modest bowling attacks. The least reliable and inconsistent Asad Shafiq has been able to produce only 4 hundreds in winning cause after having played 59 test matches for Pakistan. Captain Sarfraz Ahmad has been pathetic in swinging and seaming conditions, averaging 24 outside Asia with the bat. His punctured gloves add further fuel to the fire. Mohammad Amir has been the major victim of his shaky and below average keeping behind the wickets. 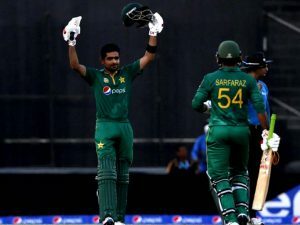 Babar Azam, the legend of the shorter format, has consistently struggled in the most testing format of the cricket, averaging fractionally below 25 so far. Class, quality, patience, and temperament of young guns, Haris and Imam, is yet to be tested against the nasty pace, bounce and swing of Anderson and Broad. Collectively, batting looks too vulnerable. Bowling leaf looks much better though. 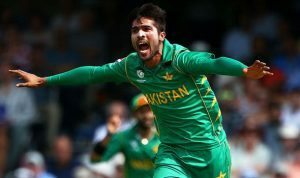 Even though, the injury of the star fast bowler Mohammad Amir has left the management in a complete incertitude, the backup looks quite promising. If Amir decides to miss the Lords test, they have options to bring in another exciting prospect and leading wicket taker of champions trophy, “The generator boy” Hassan Ali. But the imminent sensation of this bowling attack is Mohammad Abbas. Having taken 32 wickets in 6 test matches at an impressive average of 18.72, Abbas embodies Mohammad Asif in his swing, even if Asif was a lot more gifted and unique. Leg spinner Yasir Shah got ten for at lords in their last tour of England in 2016. Shadab Khan is the one who has to replicate that spell if the wicket behaves slow and tricky. Cool English summer is the prediction of weather radar for next few weeks. This tour can be a make or break for many of the youngsters like Imam, Haris, Babar, Fahim and Shadab. Younis feels the nervous moments for Pakistan in coming days. I feel the same. Do you?